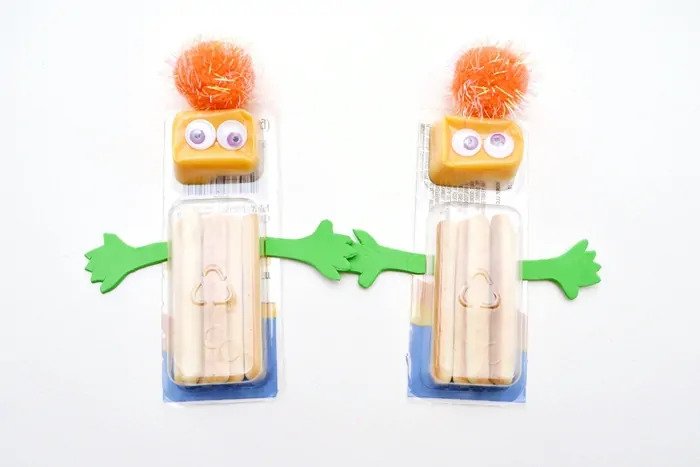 Perfect for kids' lunchboxes or classroom parties, these fun Halloween snacks for kids are quick, easy, and inexpensive to make. 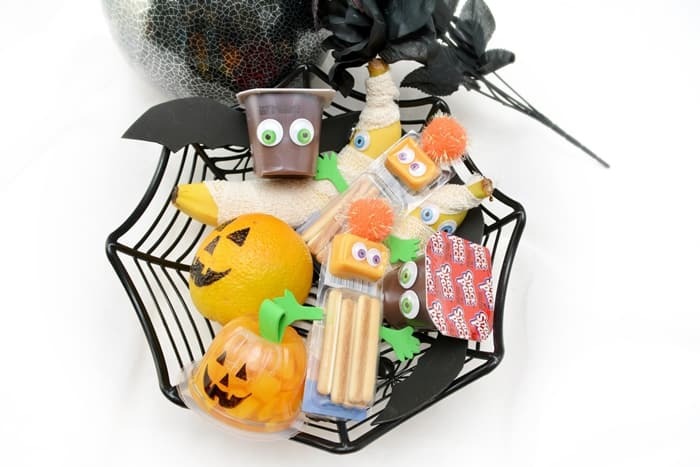 Special little Halloween snacks like these go a long way to help get the kids excited for the upcoming holiday. But you don’t have to spend a lot of time — or money — buying fancy Halloween treats. These Halloween snacks for kids are so quick and easy to make that you can pop one or two in the kid's lunch boxes each day leading up to Halloween. While these Halloween treats are great for lunchboxes, they would also be excellent to serve at a kids’ Halloween party. 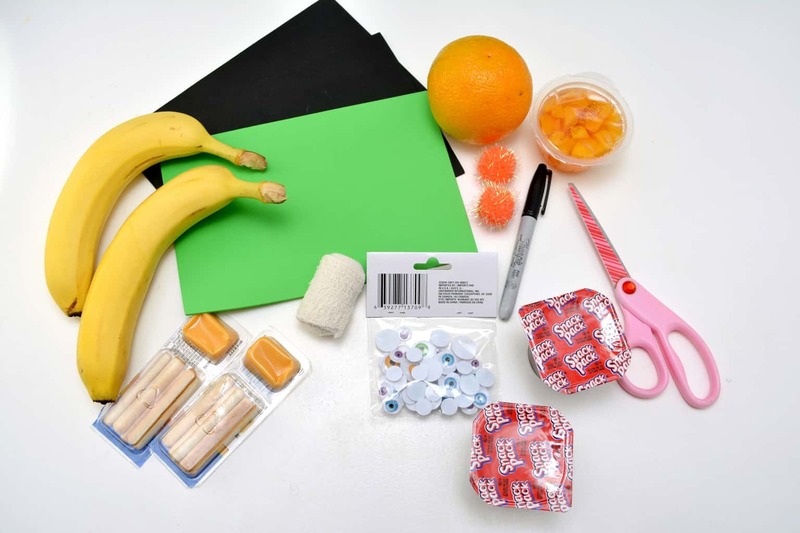 If you’re got a black marker and a few other common craft supplies, you can turn a lot of pre-packaged snacks into fun Halloween snacks for the kids. Below, you’ll find several cute Halloween snack ideas that all have one great thing in common — they are not candy! Have fun and let these easy Halloween snack ideas inspire you to create even more clever Halloween snacks. 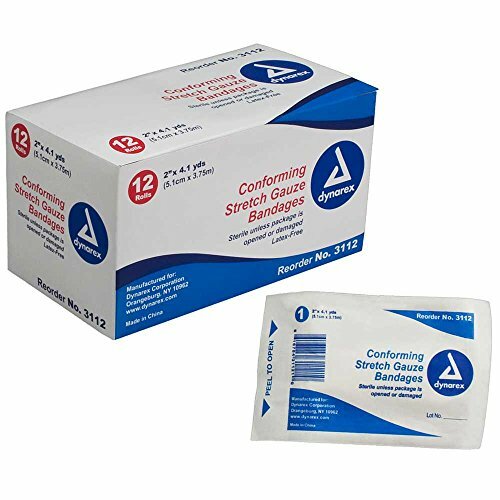 Looking for ideas of non-candy treats to hand out to trick-or-treaters? 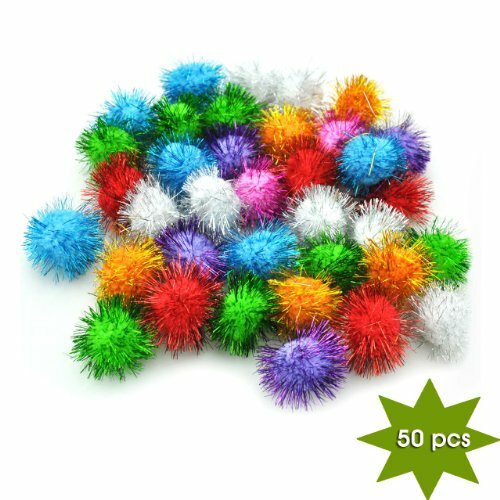 Check out this great list of inexpensive Halloween Treats that Aren't Candy! 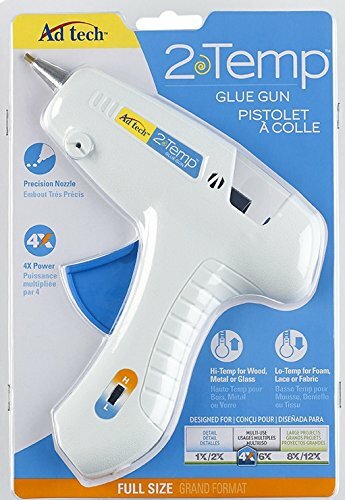 NOTE: To help reduce the chance of the hot glue melting the plastic containers and packages used in the crafts below, I would suggest not applying glue directly to the plastic. 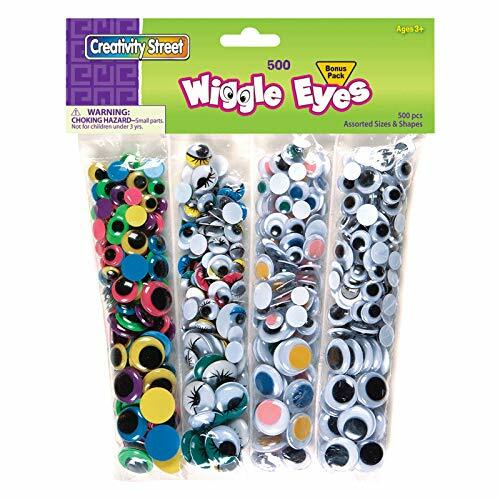 Apply the glue to the craft foam or googly eyes instead, and then allow it to cool down for a few seconds before sticking it to the plastic. Starting at the bottom of the banana, begin wrapping the gauze roll around the length of the banana. Criss cross the gauze or leave gaps in it to give it more of a mummy feel. Be sure to leave a small gap near the top of the banana where you would like the eyes to be. 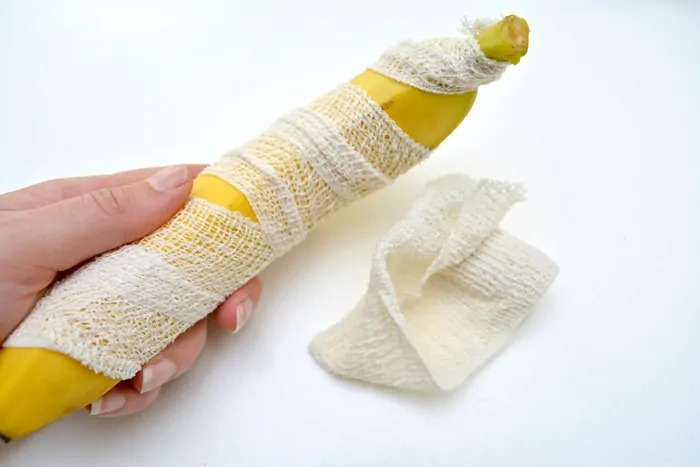 Secure the gauze to the back of your banana with a small dab of hot glue. 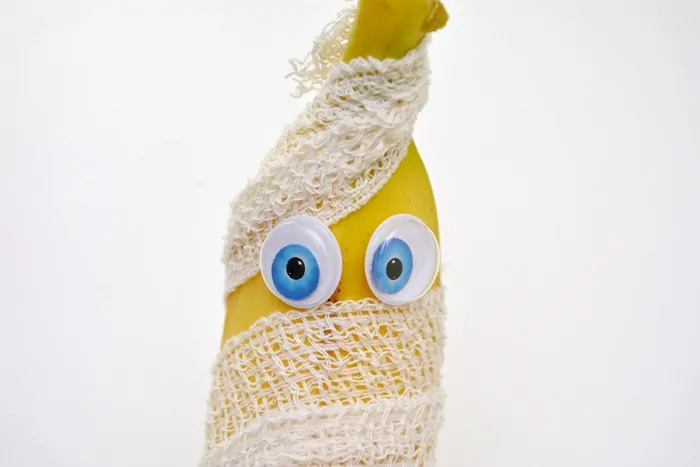 Attach googly eyes to the front of your banana where you have created a gap in the gauze. 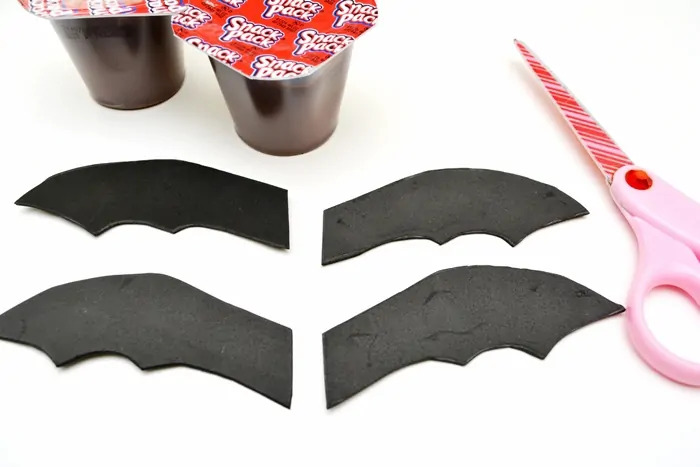 Use black craft foam to cut out the shape of two bat wings, leaving a bit of extra foam on the inside to attach it to the back of the pudding cup. 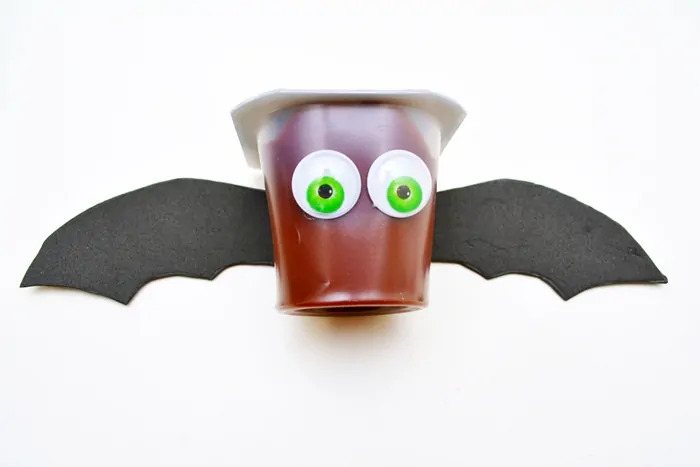 Attach the wings to the back of the pudding cup using hot glue. Lastly, use hot glue to attach eyes on the front of the pudding cup. 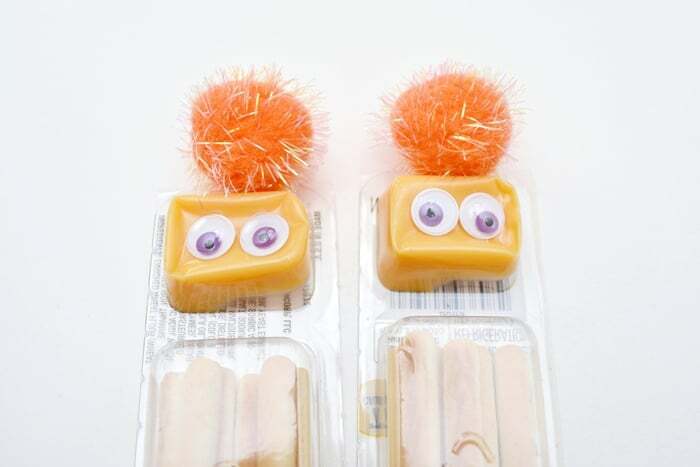 Glue two googly eyes on the cheese compartment of the package below the pom pom. For this snack, you can use either an actual orange, or an orange or peach fruit cup. 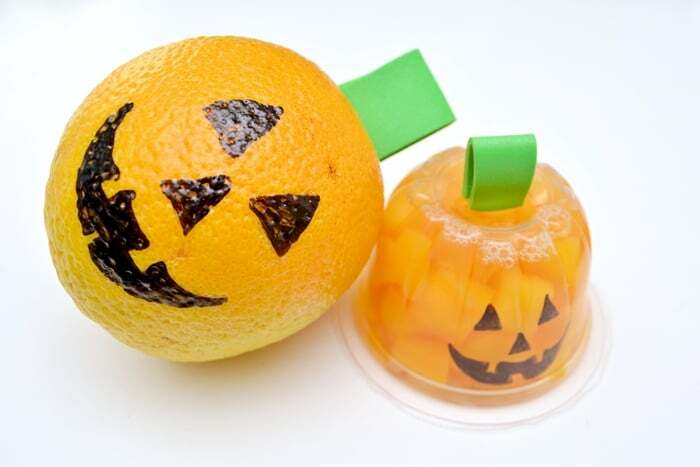 Begin by using a black marker to draw the face of a Jack-o-Lantern onto the orange or fruit cup. Cut out a long rectangular piece out of green craft foam to make the stem. 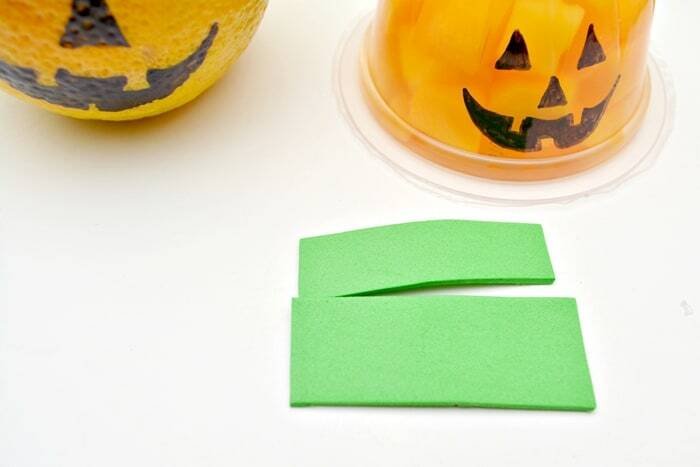 Fold the rectangle in half to make a loop, and hot glue the loop to the top of your orange or fruit cup. 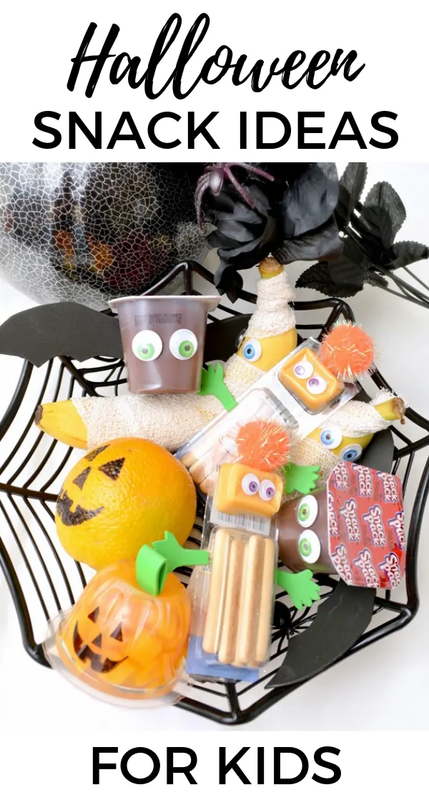 I hope that you enjoyed these ideas for easy Halloween snacks for kids. For more easy Halloween treats, check out these Mummy Rice Krispies Treats and Brownie Spider Bites. Both Halloween snacks start with store-bought treats, just like these easy ideas! I like the article on Halloween ideas for treats instead of candy. This is a great idea because children love candy on Halloween and it causes cavities which means more trips to the dentist. Thesea are all so cute! 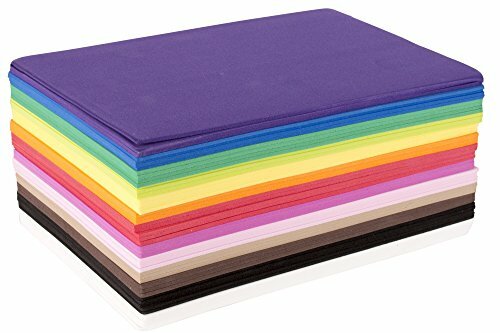 I wish I still had “little” kids to make them for.